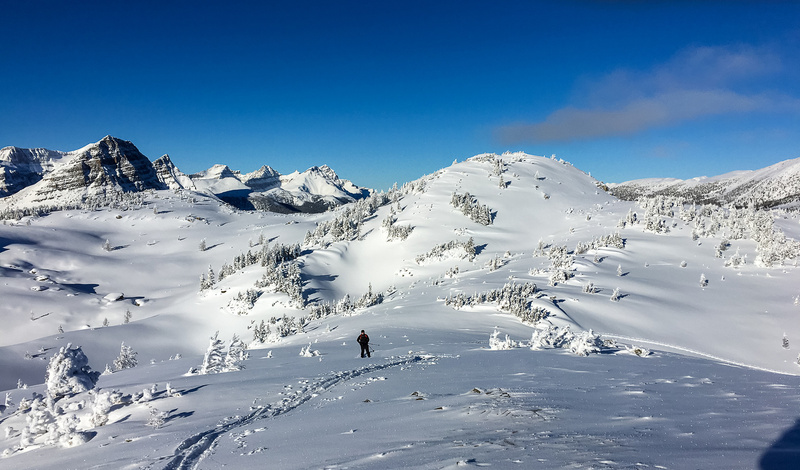 Difficulty Notes: A very safe back country ski objective with minimal exposure to avalanche terrain. 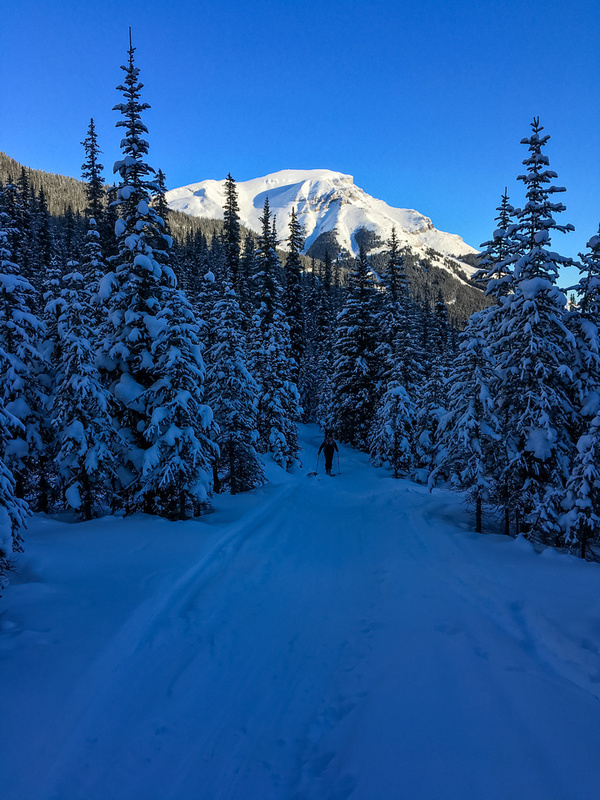 Despite a very chilly forecast, Wietse, Bill and I decided that we’d brave the -20 degree temps near Sunshine Village in Banff National Park to give the Monarch Ramparts a go on our skis. Wietse and I had been up Healy Pass Peak almost exactly 2 years previous and at that time we’d gone up the north end of the Monarch Ramparts, but not far enough to claim the summit which lies towards its south end. 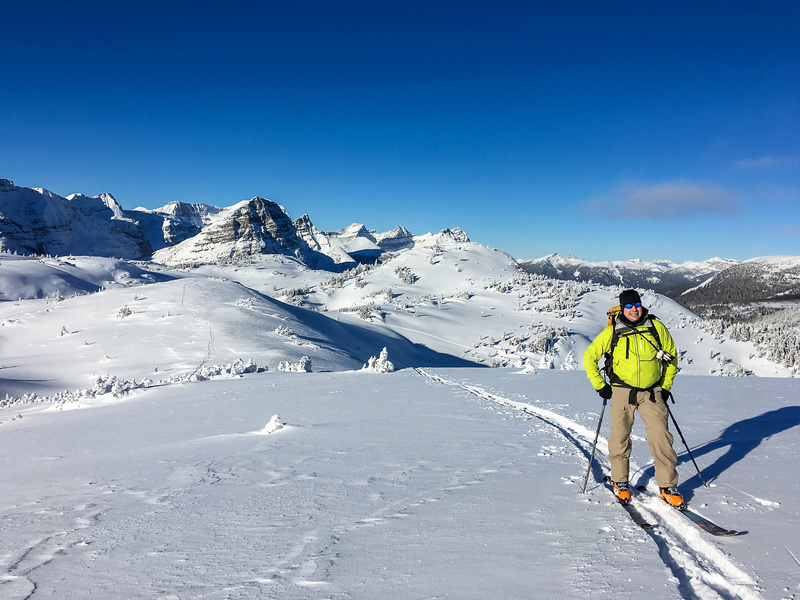 We left a very chilly parking lot by around 09:30 and quickly made our way up the ski-out and down the Healy Pass trail where it loses elevation right at the start – always a favorite spot on the return without skins on the skis! 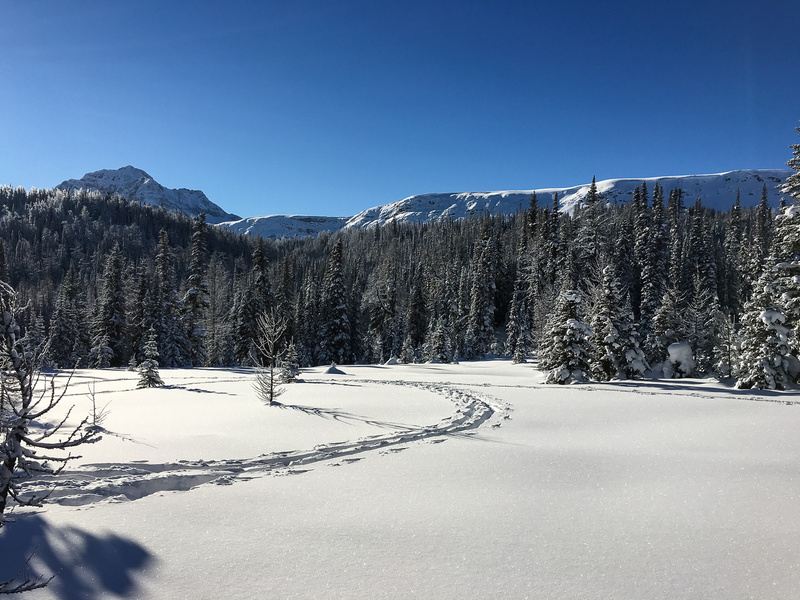 🙂 The day was cold but I felt great as we made the long but easy trudge through the Healy Creek canyon to the meadows about 7km from the trail head. Back on November 21, Raf, Wietse and I were also on this trail when we completed the Healy – Simpson Pass – Sunshine circuit. I think I’ve done this trail enough for the next little while as it is pretty darn boring! 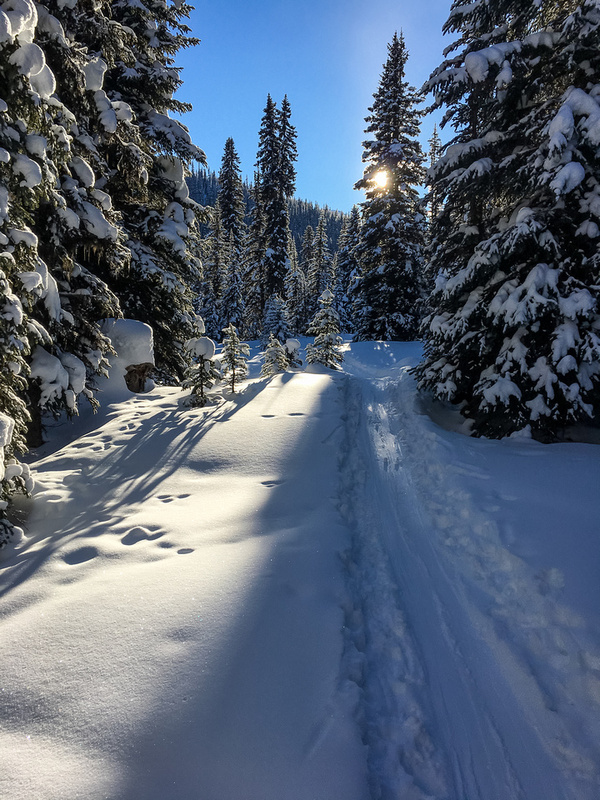 At the Healy Meadows now, looking back down the skin track. TONS of larches in here – I have to come back in the fall some day. We were the first ones for the day to reach the meadows. I followed the trail up Healy Creek and started breaking a side trail once the main track headed up to Healy Pass. Wietse and Bill had previously been up the lower Ramparts in a whiteout so they knew the safest route to gain the upper ridge. The weather was so bad the last time they were up there, they had no idea if they had made the high point or not. On hindsight, they hadn’t. There was some serious surface hoar at the meadows – up to 1 or 2cm long crystals head formed over night. One of my favorite images from the trip, Wietse breaks trail towards the ramp used to access the Ramparts. Wietse broke trail up the steep lower section of the ramp and I took over from there, leading up to the ridge. Mind blowing views had already started in the Healy Meadows, but now that we were above tree line the views were unbelievable. The views of Mount Assiniboine, The Monarch and the Pharaoh peaks was especially spectacular. 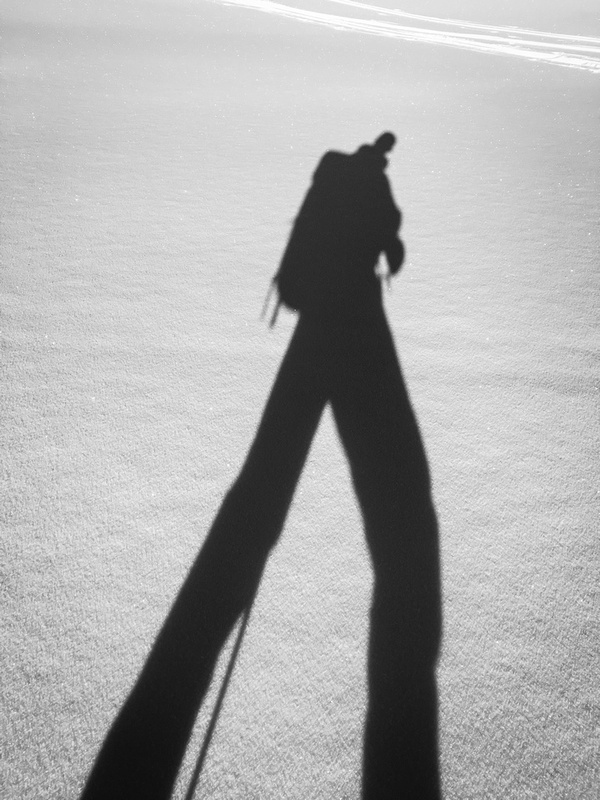 We made our way along the ridge, working our way about 1km along it to the high point on the southern end. The views in all directions were great and the sun actually started feeling warm at one point. 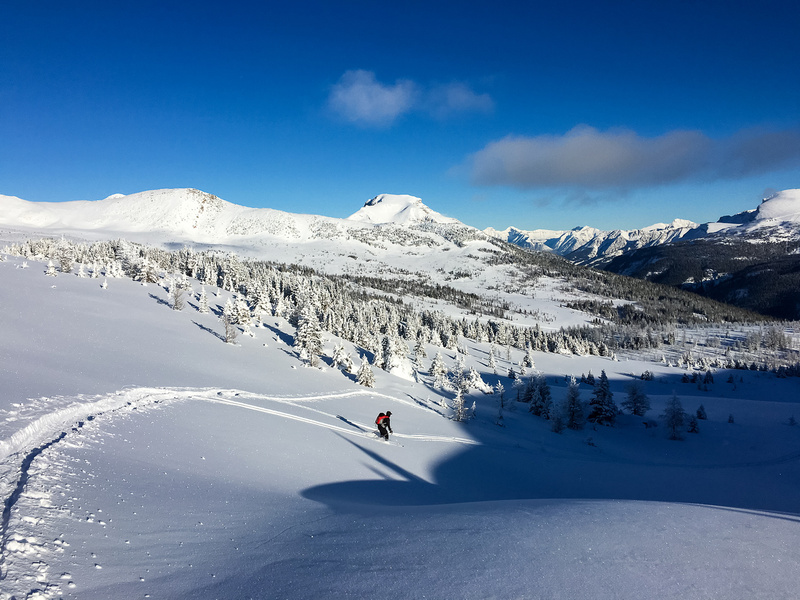 After taking in the views it was time to head back – we wanted to beat the ski crowd rush from Sunshine Village. 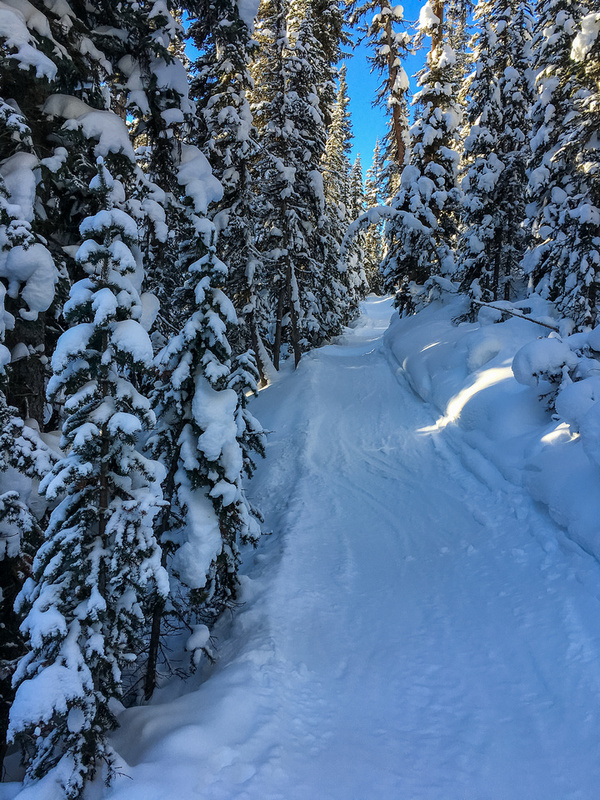 The ski down was quick but there was a ton of other people on it – I was especially surprised by the people on xcountry gear and snow shoes. IMHO, there are much better trails for these activities with better views closer to the parking lot (i.e. Rummel Ridge, Little Lawson etc) but it was good to see so many people out considering the weather. Too bad they chewed up the ski track but again – I guess it’s good they were out. Looking back at Bill coming up the Healy Creek trail with Mount Bourgeau looming in the distance catching the sun. Don't be fooled into thinking that it's warm - it's not. But it is beautiful nonetheless. 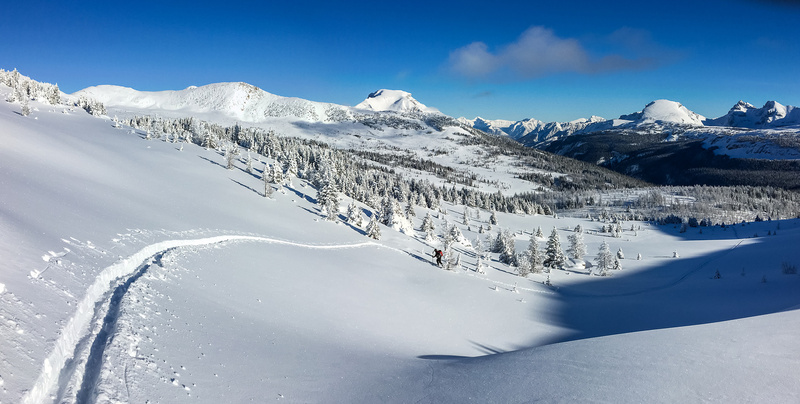 After a solid 2+ hours of skiing up the rather dull Healy Creek trail, these are the first views of The Monarch (L) with the Monarch Ramparts stretching out to the right. At the Healy Meadows now, looking back down the skin track. TONS of larches in here - I have to come back in the fall some day. It might be a boring trudge to get up to the meadows but once you're up there, it's a spectacular spot. Looking back at Wietse and Bill with Bourgeau, Eagle, Twin Cairns in the background from L to R.
Bill follows our trail - for some reason I find trail breaking a lot of fun. But don't tell anyone that! Healy Pass and Healy Pass Peak in the background. Looking over our ascent track from part way up the ramp over Healy Meadows. Looking south along the Ramparts towards Mount Assiniboine with the puff of cloud on its summit. The Monarch just visible on the right. The views already part way up the ramp are great. Bill follows the track upwards. Amazing views with The Monarch at center and Pharaoh Peaks to the right. Bill with another high point on the Ramparts behind him and Pharaoh Peak rising at left. I didn't realize there was a nice valley on the west side of the Ramparts - that looks like a great place to explore some day. 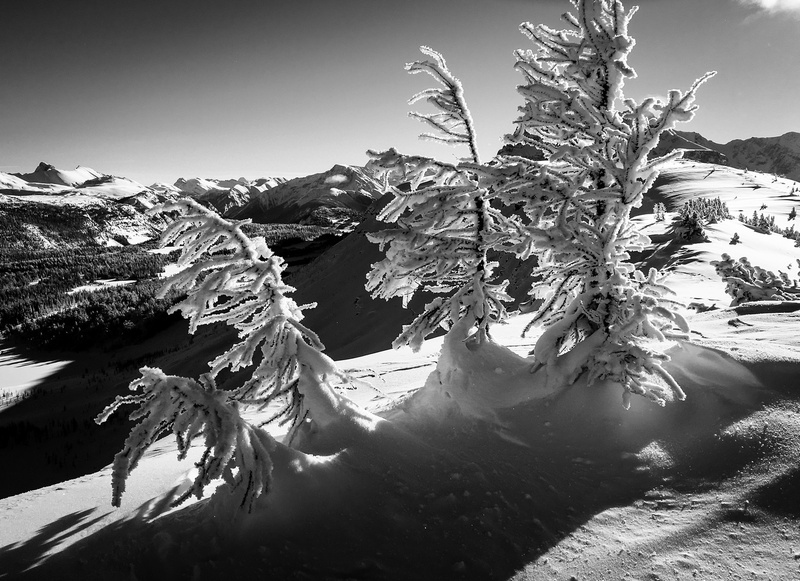 Wind blasted trees on the ridge. Wietse and Bill on the first high point. Bourgeau just right of center with Eagle Mountain at extreme right. Starting back down, looking towards Healy Pass with the Pharaoh Lakes at left. One last looking back. From L to R, Bourgeau, Eagle, Howard Douglas, Brewster, Twin Cairns, Mount Assiniboine, The Monarch. 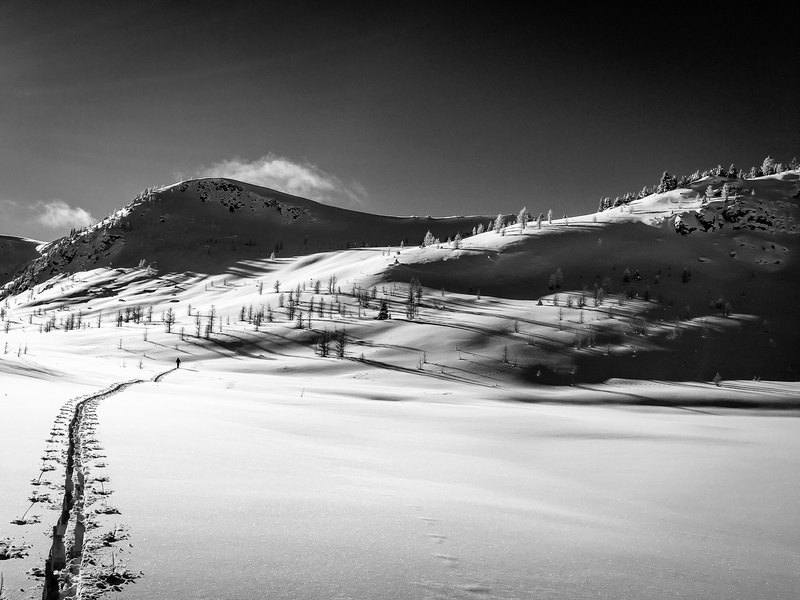 Bill drops in on the only slope steep enough to actually ski on this tour! A fast run back despite some annoying uphill sections.